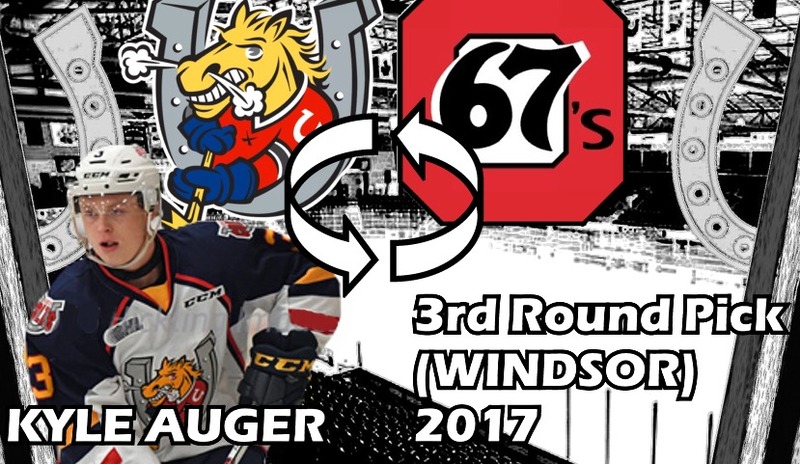 Barrie Colts trade Kyle Auger to Ottawa 67's. #OHL - Very Barrie Colts | A website covering the Barrie Colts of the OHL. The Barrie Colts announced that they have sent Kyle Auger to the Ottawa 67's in exchange for a 3rd round pick in 2017. Auger saw a handful of games in Barrie this pre season after coming over from Windsor this past season where he played 28 games with the Spitfires. He recorded 1 goal and 2 assists with a +7. We would like to wish Kyle the best of luck in Ottawa!